Yahoo users will be free to upload any video file featuring Sony BMG songs, the Internet giant announced. Yahoo and Sony BMG entered a licensing agreement regarding user generated content featured on the former’s websites. According to the terms of the agreement, Sony BMG agrees to allow Yahoo use rs to post video content featuring songs that the company owns and, in return, the music giant will receive a cut of Yahoo’s advertising revenue from the pages where the content appears. 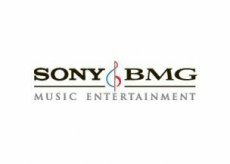 In addition, the agreement mentions that digital transfer of Sony BMG music videos becomes legal. The specific financial details were not disclosed and nor will they be anytime soon. The Sony BMG-Yahoo licensing deal mirrors the lat year’s agreement between the former and the Google-owned YouTube. For Yahoo this is the first deal of its kind, but chances are that more will follow given the current trends on the market. Any bets on which music company will be next to shake hands with Yahoo? At present time, Sony BMG’s list includes artist like Alicia Keys, Avril Lavigne, Jennifer Lopez, Celine Dion, Bruce Springsteen or the Foo Fighters.